Are you a motivated and ambitious project manager with experience leading on projects from inception to delivery? Do you thrive in a fast-paced environment and have an eye for detail? 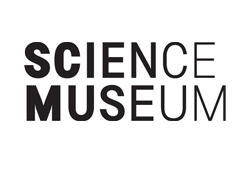 The Science Museum has recently launched its strategic priorities to 2030 which include increasing income and transforming our estate. The Enterprises department has an exciting programme of activity planned in the commercial areas to support these ambitions plans. These commercial areas could be planning the future of the IMAX located on site, to working on the expansion of the main museum shop. As part of this programme, we’re looking to recruit a Commercial Client Project Manager to lead on specific projects whilst coordinating the wider project team to ensure efficient delivery. You will establish project objectives by developing briefs and coordinating feasibility work with the Project Director. In addition, you’ll manage a wide range of stakeholders and relevant project processes to drive decisions, manage budgets and proactively identify and mitigate project risks. In order to be successful in this role, you’ll need to bring experience of working on complex projects with large budgets and as a result, be highly organised. An effective team player, you will have excellent communication, diplomacy and persuasion skills and have the ability to react positively and proactively to change. You will receive a range of excellent benefits, including 25 days annual leave in addition to bank holidays, a contributory pension scheme, BUPA medical and dental insurance, an annual season ticket loan and numerous staff discounts whilst developing your career in a world class museum group. For more information and to download the Vacancy Information Pack, please visit the website.